There are vehicles that, for whatever reason, sell poorly when new, but develop a healthy following as used. 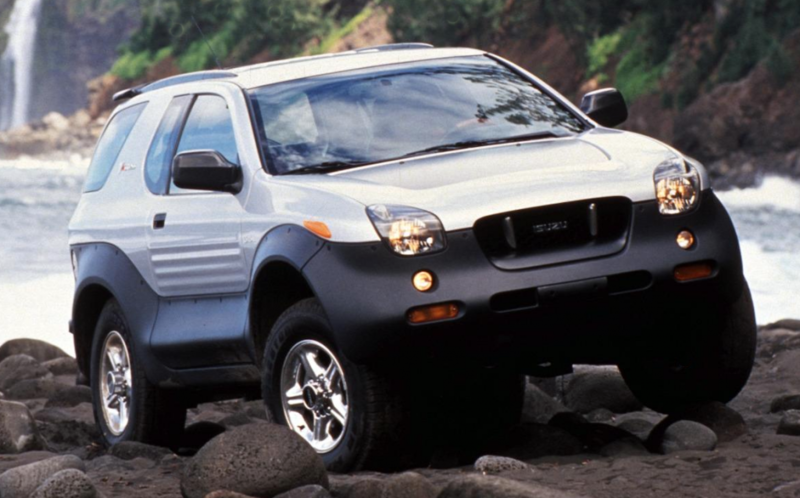 We number among those rides the Toyota FJ Cruiser, the Pontiac Aztek (thank you, Walter White), and the subject of this post, the Isuzu VehiCROSS. Available for just three model years, the VehiCROSS made its way onto a number of ugliest-vehicle lists, but earned a reputation for being relatively fun to drive, and genuinely capable off road. 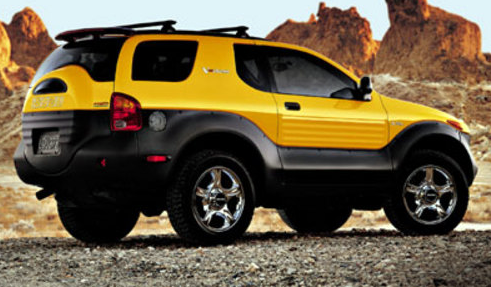 Offered only for the 1999-2001 model years, the VehiCROSS came solely in 2-door form, and only fully loaded. The only options available were a roof rack, floor mats, and for 1999 and 2000 only, an Iron Man trim package. Based purely on anecdotal evidence, the take rate on the Iron Man package, which included the roof rack, mats, and special badges, was fairly high, despite its $995 price tag. VehiCROSS owed its basic body-on-frame architecture to its Isuzu Trooper cousin, as well as its Borg-Warner-supplied Torque-on-Demand 4WD system. Power came from a 215-horsepower 3.5-liter V6, which mated to a 4-speed automatic. No manual transmission was offered in the U.S.
All told, just 4153 of these homely but sought-after SUVs were sold in the States, almost half of which were 1999 models. Today, even beat-up examples with more than 150,000 miles on them fetch at least $5000, with clean, low-mileage finds breaking $20,000. No word as to whether or not the Iron Man package brings any value at resale time. What follows is Consumer Guide’s original 2001 review of the Isuzu VehiCROSS. This 4-seat, 2-dr SUV borrows its drivetrain from Isuzu’s full-size Trooper SUV, including the 3.5-liter V6, automatic transmission, and Torque On Demand 4WD that can be left engaged on dry pavement and includes low-range gearing. VehiCROSS’s body is metal with unpainted composite plastic lower cladding. The tailgate encloses spare tire and swings open to the left beneath a top-hinged rear window. Recaro-brand leather front seats, antilock 4-wheel disc brakes, and 18-inch alloy wheels are standard. Satisfyingly strong at all speeds, but around-town response best when automatic transmission is kept in 3rd gear. 14.7 mpg in our tests. Little harshness over most bumps, but the short wheelbase makes the ride choppy. A high point: accurate steering, good grip and balance in turns without excessive body lean. Brake performance, pedal feel nothing special. V6 is coarse-sounding, and, in our tests, there was lots of intrusive gear whine and a wind leak from the driver’s window. Sadly conservative. Gauges unobstructed, but control placement haphazard, with long reach to radio, climate switches. No vehicle has worse outward visibility. Wide side roof pillars make changing lanes precarious. Slit-like rear window, intrusive spare-tire shell conspire to hide virtually all objects behind. Roomy, and seats are comfortable, supportive. Entry/exit is tricky front or back: Tall ride height and low roofline make for awkward combination of climbing and stooping. Lots of rear knee clearance, but cushion is low to the floor, forcing legs-out seating position. Hard-to-reach releases make it difficult to fold rear seat. Cargo area is small for an SUV, with only a narrow area behind rear seatbacks. Satisfying performance, but dangerously limited outward visibility. With a base price over $30,000, VehiCross is priced against roomier, more traditional 4-dr SUVs. Any value is emotional, not rational. The Isuzu VehiCROSS Concept (left) first appeared at the 1993 Tokyo Auto Show. The VX 02 Concept was unveiled at the 1999 New York Auto Show. Written by: Tom Appel on April 5, 2018.on March 22, 2019.